Apple and Avid have been battling it out on the big screen for years, but now they've brought the video editing battle to the iPad -- and the winner may not be who you think. Avid Studio for iPad launched this week in the App Store, instantly becoming the first real competitor to Apple's iMovie video editing app. What makes this so interesting is that Avid was king of digital video editing in Hollywood for a long time, and then Apple came out with the far more affordable Final Cut Pro/ Final Cut Studio, and enticed a few big name directors to give their new software a try. So is Avid getting a little payback here by bringing the video editing battle back to Apple's home turf? Most definitely, and as good as iMovie is -- some of the best mobile software we've seen to date -- Avid may be even better. Both iMove and Avid Studio can do the basics that you would expect from any video editor. You can insert videos, photos, and music, trim clips, add titles, and export to YouTube. Unfortunately for iMovie, this is where the similarities end. In iMovie, the only thing you can do with music is insert it as the background of your movie - your entire movie. It's impossible to take just a clip of the music to place where you wish - you're stuck with playing the whole song. In Avid Studio, you can trim your music clips and insert them anywhere in your movie. You can also layer up to 3 audio clips at a time. One of the cool features Avid Studio provides is the ability to insert photos or video over the main movie in the timeline. Meaning, if you want to have a photo or video play in the middle of a movie clip, you can do so while still having the audio and elapsed time from the main movie playing in the background. This is one the features I most like about Avid Studio. The only thing you can do in iMovie is split up the clip and put a photo or movie clip in the middle. Avid's way -- which Apple does support on the desktop version of iMovie -- is more useful. I was surprised when I learned that iMovie did not allow me to access videos that I imported onto my iPad with iTunes. 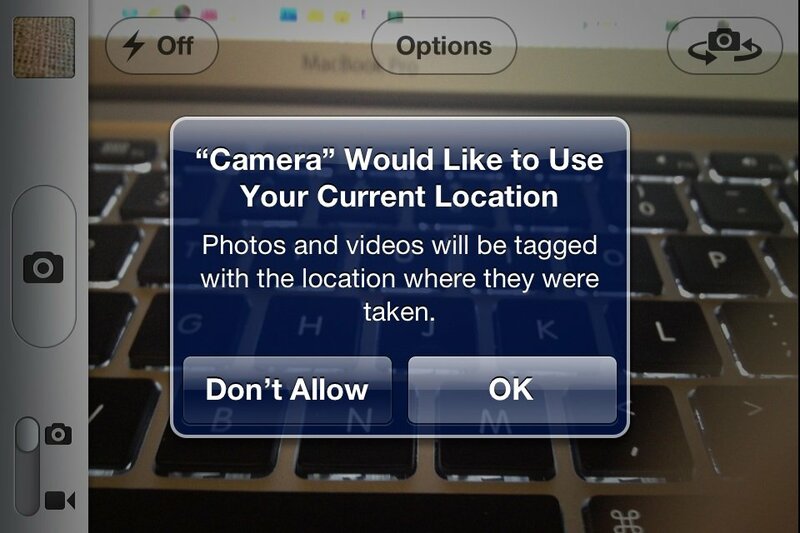 The only videos accessible with iMovie are the ones in your camera roll or albums. What a huge disappointment. Avid provides just such access. Both iMovie and Avid Studio allow you to insert titles for you movie, but iMovie requires that you do it with one of their themes. There is not an option to insert a black slide with text like Avid Studio. This means that all text inserted in iMovie must be overlaid with part of your movie. Avid Studio also comes preinstalled with fun montages to add to your videos. These are made up of anywhere between 1 and 4 photos and may be static images or mini video clips. 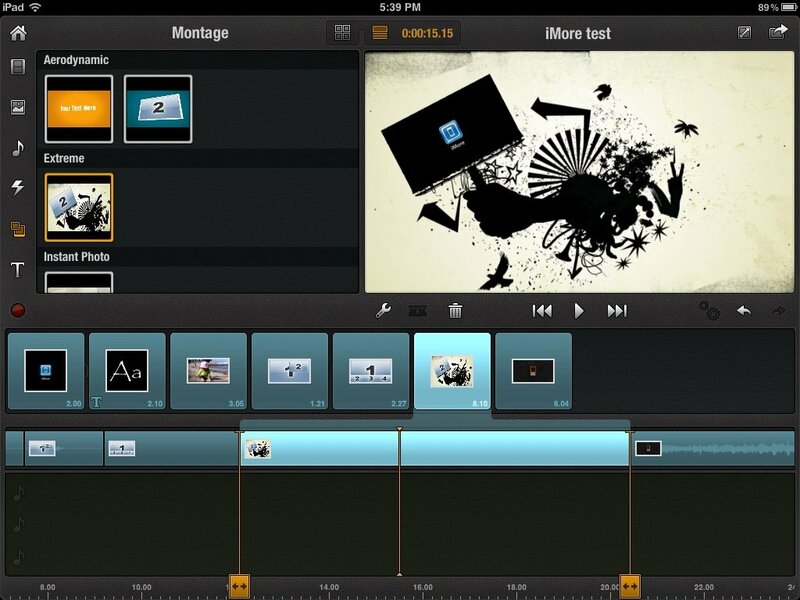 Avid Studio may be iMovie's newest competitor for video editing on the iPad, but it's not a fair competition. Avid Studio is the clear winner. iMovie doesn't offer any significant features that Avid does not, but Avid can do much more than iMovie. Since they both cost $4.99, it's almost a no-brainer. Right now, the only thing iMovie has going for it over Avid Studio is that iMovie is a universal app and also works on the iPhone. With iPad 3 on the horizon, I hope Apple has a more feature-rich iMovie 2.0 up its sleeves to help show it off. Either way, I can't wait to try video editing on a 9.7-inch Retina display.